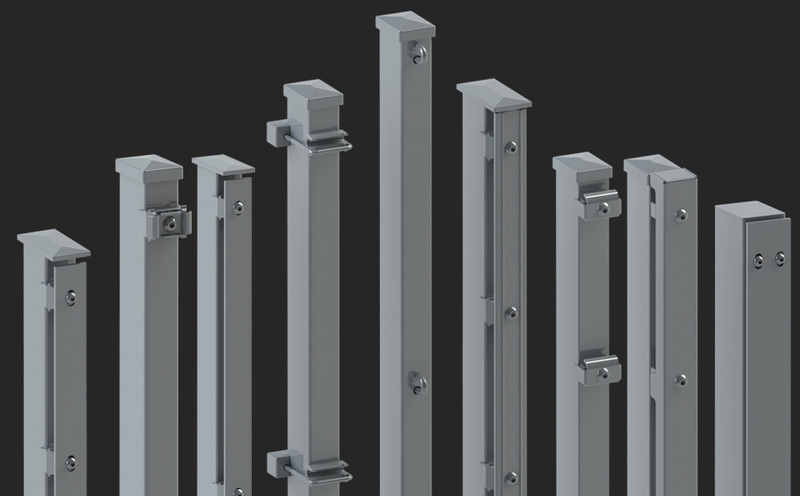 Our posts types S, K, U, H, P and D are made from 60/40 mm rectangular tubes. Our post type G for prison mesh 358 is made from 80/60/3 mm or 120/60/3 mm rectangular tubes by default. Of course we offer different post sections on request as well. By using our modern tube laser system, we can offer exceptional solutions for any demand you may have. Various drilling patterns on the profiles can be produced fast, efficient and down to hundredths of millimeters. 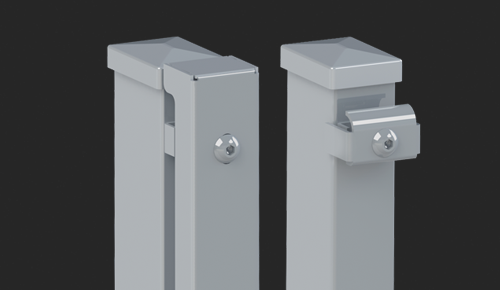 Special solutions as welded on base plates and bend arms can be produced on order base. Our tube laser system combined with our specialist welding workshop is the core expertise in custom solutions. A high quality durable surface treatment also protects against corrosion. Rectangular steel tube profile 60/40 mm. 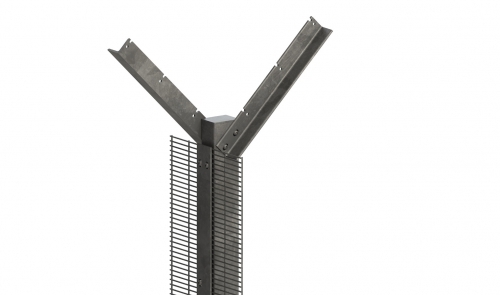 The PVC fixing support is fitted by means of a threaded sleeve to the post. 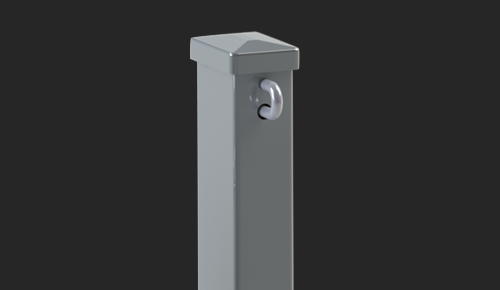 For security on top of each post you can find an aluminum cap with overlap and anti-theft device. Rectangular steel tube profile 60/40 mm. 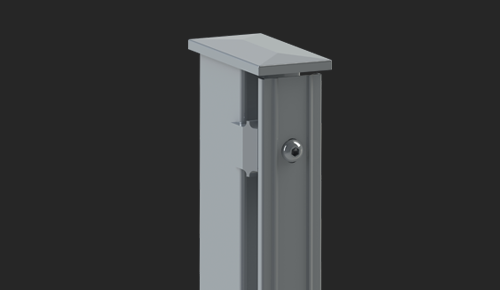 The PVC fixing support is mounted by means of a threaded sleeve to the post. On top of each post you can find an overlapping PVC cap. Rectangular steel tube profile 60/40 mm. On top of each post you can find an overlapping PVC cap. Please order needed quantity of brackets or U-bolts separately. Rectangular steel tube profile 60/40 mm. On top of each post you can find an overlapping PVC cap. Please order needed quantity of hook screws and security nuts separately. 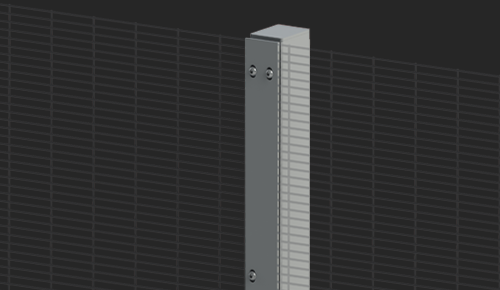 Hook screws do have a different shape for flat bar panels and 3D panels. Rectangular steel tube profile 60/40 mm. On top of each post you can find an overlapping PVC cap. 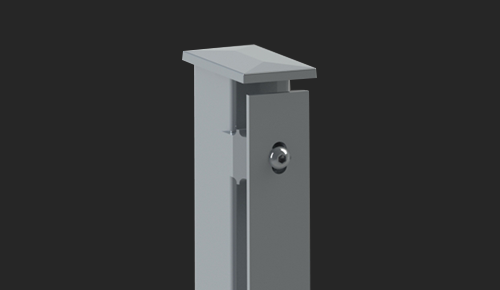 A threaded sleeve attaches the metal installation aid to the post. Post type G is the strong partner of prison mesh 358. By combining prison mesh 358 and posts type G with flat iron an installation at slopes is easily done. Rectangular steel tubes 80/60/3 mm and 120/60/3 mm – for corner posts 80/80/3 mm and 120/120/3 mm. 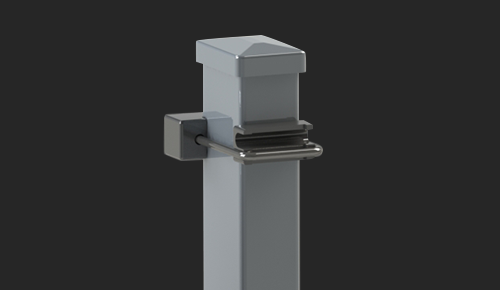 On top of each post you can find a lamellar cap. As screws you can select: M8x40 stainless steel hexagon socket screw (Allen screw) or one-way security screws (always with washers). Please order separately. 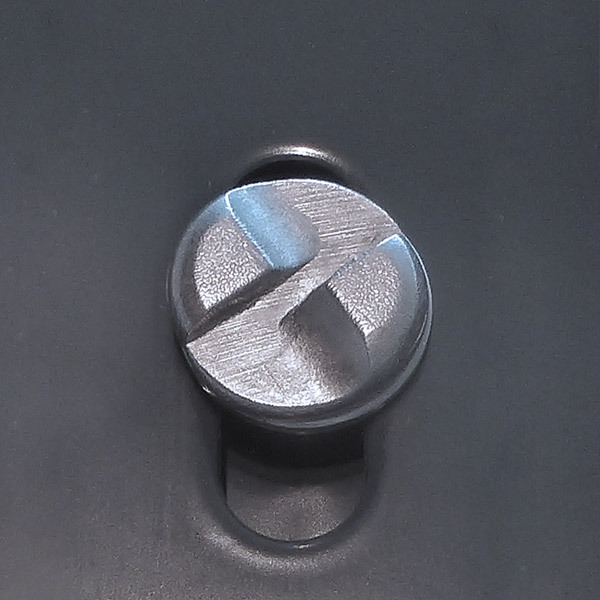 Special base plates in L- or U-shape as well as special sizes are available on request. 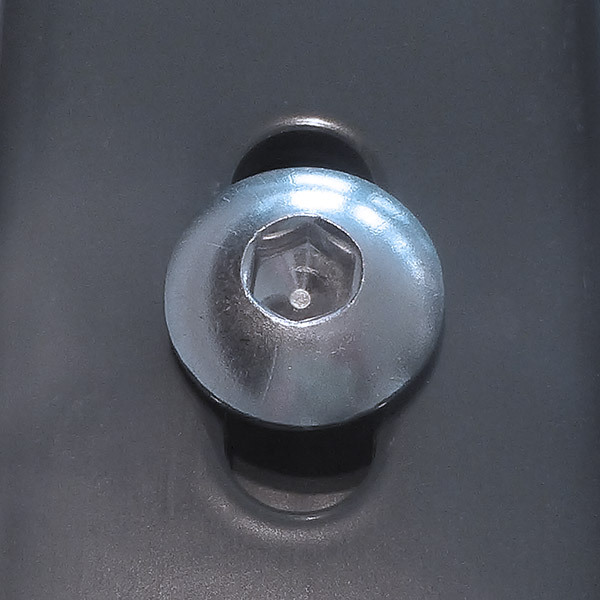 For high security applications asking for an additional climb over protection we offer special crank arm extensions. The fixation up to 3 lines of barbed wire is possible. 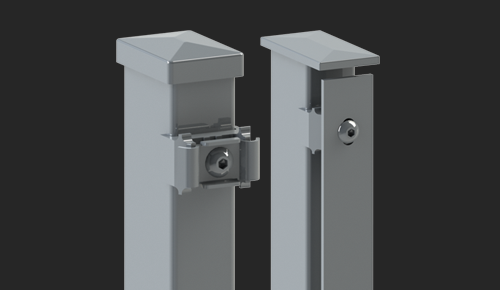 The crank arm extensions will be fixed to the posts by screws: either M8x40 stainless steel hexagon socket screw (Allen screw) or one-way security screws. In this case posts have to be 60 mm longer at the top. Our products are available in hot dipped galvanized or powder coated in standard colors green RAL 6005, anthracite RAL 7016. Other RAL colors on request. All accessories can be found in our product brochure: download product brochure Posts types S, K, U, H, P, D.
Technical details are subject to change. Custom-made products, other RAL colors and dimensions on request. By using our modern tube laser system, we can offer you exceptional solutions for any demand you may have. Please contact us!